Being a panelist on two local candidates’ debates last week got me thinking about the role that local media plays in town. Televised debates for political office in Wakefield go back to the days before WCAT, to what I call the Dark Ages of public access TV. 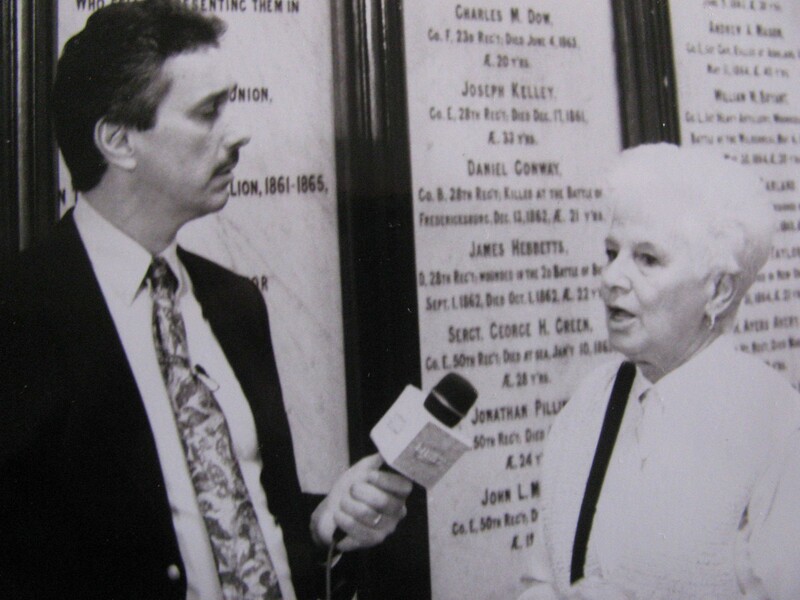 That was my first brush with local media – hanging around the Wakefield cable TV studio at 37 Water St. This was in the pre-internet days, when local newspapers thought that cable posed a major threat. Cable TV was brand new, and cable companies were promising the world in order to land lucrative franchise monopolies in each city and town. Their proposals typically hinted in vague language about offering a nightly local news broadcast. Of course, once they landed the 15-year contract, those promises were quickly forgotten. Wakefield did briefly have a weekly local TV newscast in the early days of cable, produced, not by the cable company, but by local volunteers. You’ll never guess where the local news anchors got most of their stories. That’s right, they ripped them out of the Wakefield Daily Item. They just turned a few words around and shamelessly read them on the air. But even doing a local newscast only once a week and stealing all your stories from the local paper was a tremendous amount of work, and the program didn’t last. The other thing that began during that time was televising local political debates. 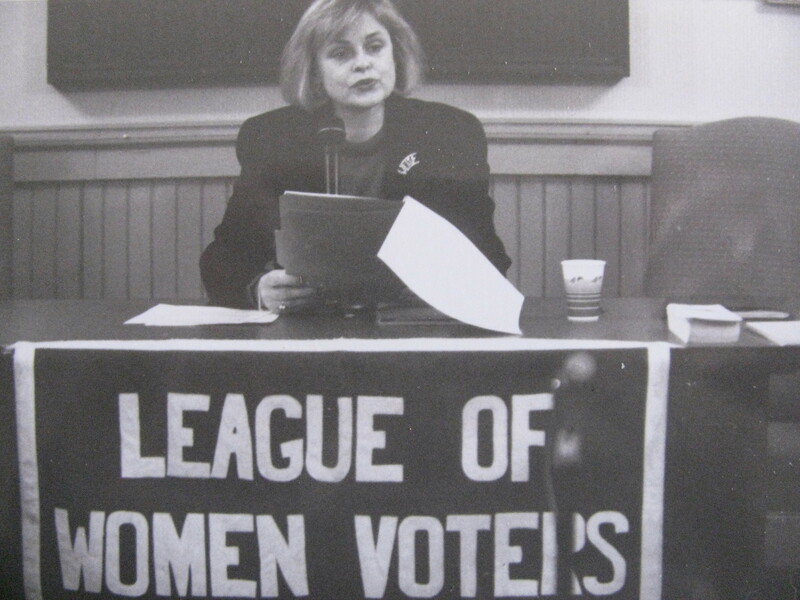 Back then, Wakefield had an active League of Women Voters which, in the pre-cable days, would put on candidates’ forums that drew hundreds of people. Someone in the League got the idea of putting these forums on cable and since I was the only local person with TV skills who was foolish enough to do it, I was recruited. For years, I worked closely with the League producing these televised debates. At first, I would film them on location with a single video camera. Later, I’d direct multi-camera productions with a whole crew of volunteers. 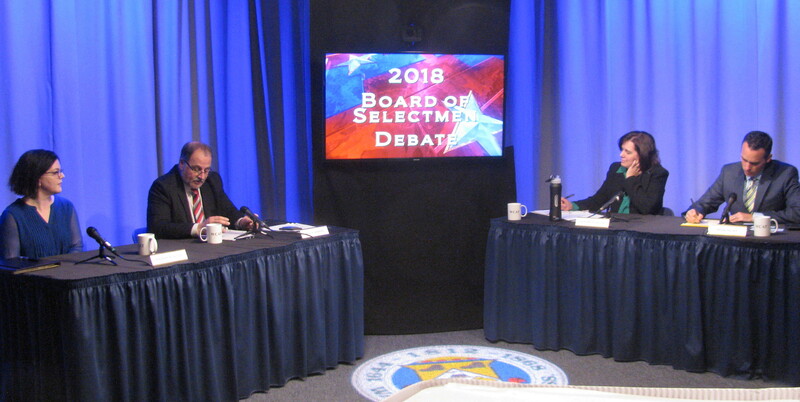 The Item staff was usually represented on the LWV debate panels, asking questions of the candidates. Eventually, the Item got involved with putting on its own televised candidates’ forums. So, the partnership of the Item and local cable TV goes back a long way. After a few years, people came to expect these televised candidate debates, so in one form or another, they continue to this day. My own role has switched from the control room to the press panel. Another thing that began back then and continues to this day is live Town Election night coverage on local cable. It was started by a guy named Rich DiPirro who took me under his directorial wing. About a year later, he left Wakefield for a job in Winchester. So, when it came to the election night show, I was the heir apparent (again, no one else wanted it). In the old days, people would call the Item office on Town Election night or hang out at Town Hall to get the early results. For the last several decades, they mostly just turn on their TVs. I enjoyed doing the election night coverage and didn’t give it up voluntarily, but that’s another story. Cable didn’t kill newspapers, but then the internet came along. Now, that is supposedly the latest thing that will spell the end of both newspapers and cable. And local newspapers do still play an important role. No one else is going to do what we do. The Boston Globe is too busy keeping track of the number of genders to cover our local candidates’ debates or write about our local school budget. But, of course, when issue was gender neutralizing the Wakefield Board of Selectmen, the Globe was all over it. How ironic is it that in a year when women could have made history by winning a majority on the Board of Selectmen, we will be doing away with the Board of Selectmen. 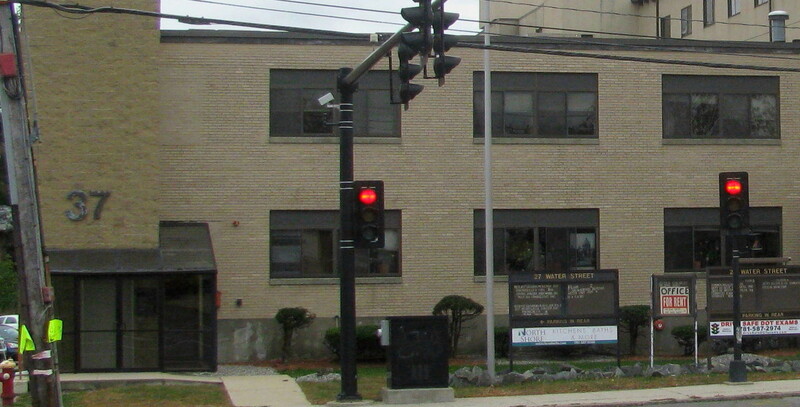 Sorry, ladies – a female majority Town Council just doesn’t have the same cachet that a women majority Board of Selectmen would have. Oh well. History is overrated anyway. For some reason, Rich DiPirro’s name popped into my head today, so I Googled him and “wakefield ma cable” and your blog was the first result. I graduated from Emerson College in 1985 and while I was in school, Rich recruited me to anchor weekly cable newscasts and host the election night coverage one year. This brought back nice memories … it was a great way for a college kid to get some experience albeit working for free. I remember you, Steve. You co-anchored the weekly news show with Joanne Minahan (or maybe she used her maiden name “Cosentino. )” I worked on a lot of those newscasts. For a time, I was Rich’s “right hand man” and ended up taking over the election shows after he left. Unfortunately, the newscast died after Rich left. The weekly schedule was just too much for a local volunteer like me who already had a full-time job. Rich is in Japan, now, directing TV game shows I believe.